01.Due to the copyright/legal problems, no illegal streaming links will/should be posted on this thread as there had been major crackdowns going on lately.02.Any complaints about any streaming links will be counted as spam and will be reported to the mods.03.Any complaints of the respective companies such as Viki, youtube, Etc.. should be reported to the respective companies instead of posting your complaints here.04.Those who are caught breaking the Soompi posting rules more than 5 times will have their Id/IDs reported the mods. 05.Those who are caught promoting/posting illegal streaming links with subs ( those without permission from the original subbers and doesn't have copyrights like Viki, Viu,Dramafever, ) will have their ID's reported to the mods for endangering Soompi to legal issues for illegal streaming sites promotions. 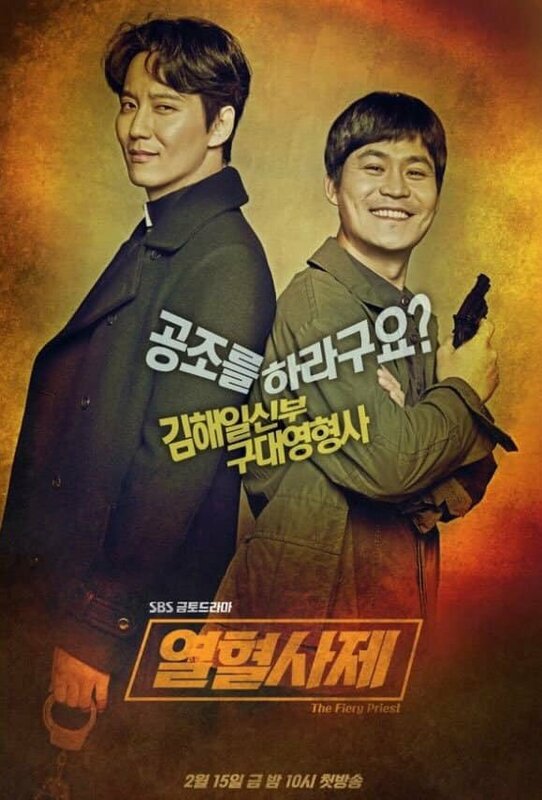 I am glad Kim Nam Gil, Kim Sung Kyun and Honey Lee confirmed to appear in this drama. A great trio. 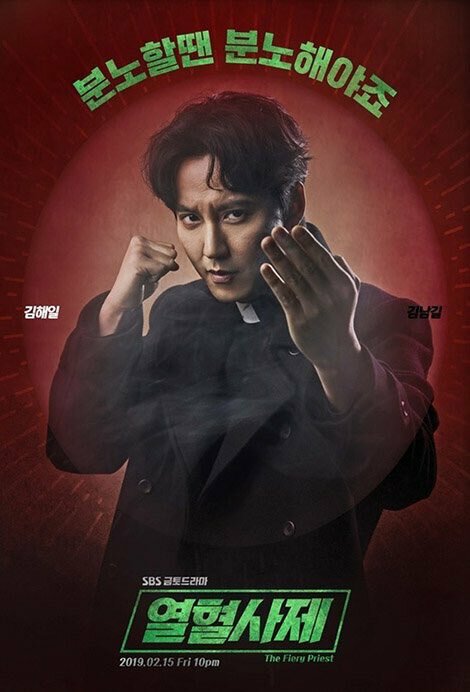 It looks like this year the priests are on trend in kdramaland. I am glad it is not another drama dealing with exorcisms. The leads for SBS’s first Monday-Tuesday drama in 2019 are confirmed! Kim Nam Gil will play the Catholic priest Kim Hae Il, who has Intermittent Explosive Disorder, Obsessive-Compulsive Disorder, and Post-Traumatic Embitterment Disorder. His cynical and pessimistic way of talking usually numbs the people around him, but his analytical skills, insight, and judgement towards humanity are surprisingly keen and accurate. His character was actually a top special agent who was in the counter-terrorism special forces team of the National Intelligence Service 10 years ago. 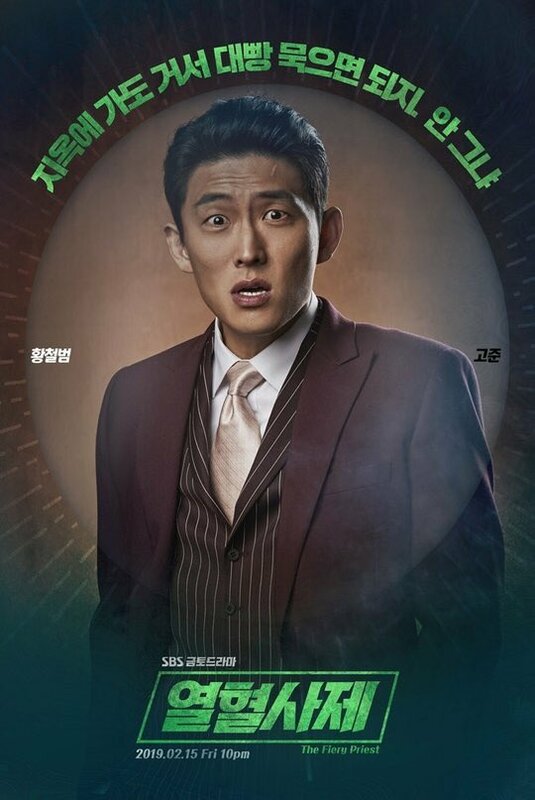 Kim Sung Kyun will play Goo Dae Young, a detective working in Gudam Police Station’s Violent Crimes Department. He does not want to look weak, so he bluffs around. Fancy words are his weapon rather than actually getting in a fight. He is a soft-hearted man with lots of tears. He used to be a hot-tempered detective, but he became a coward after his partner died three years ago. Kim Nam-Gil, Kim Sung-Kyun and Lee Honey are cast for lead roles in SBS drama series “Hot Blooded Priest” (literal title). The drama series will have Kim Nam-Gil playing Catholic Priest Kim Hae-Il, Kim Sung-Kyun playing Detective Koo Dae-Young and Lee Honey playing Prosecutor Park Kyung-Sun. They work together to solve the murder of a senior Catholic priest. 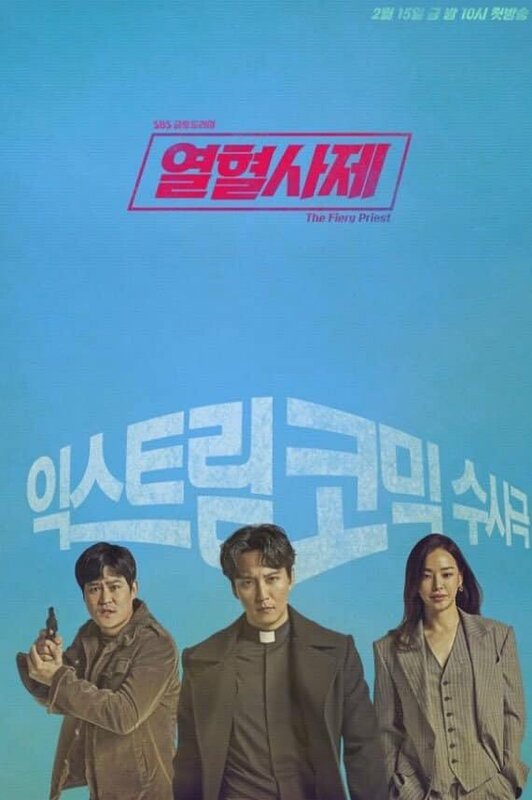 The drama series follows currently airing OCN horror drama series “The Guest” which has Kim Jae-Wook playing a Catholic priest and upcoming OCN medical-horror drama series “Priest” which has Yeon Woo-Jin and Park Yong-Woo playing Catholic priests. After months of speculation, Kim Nam-gil (Live Up to Your Name) has confirmed he will take the lead in the SBS drama Hot-Blooded Priest. Kim Sung-kyun (Untouchable) and Honey Lee (Rebel: Thief Who Stole the People) will be joining him in the comedic drama. 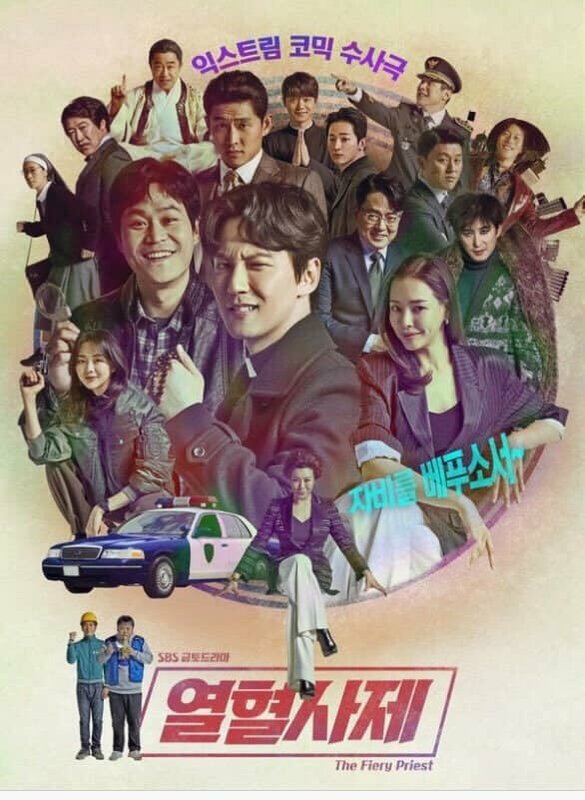 The drama will tackle issues of corruption, religion, and the exploitation of welfare agencies, all while infusing the series with heavy doses of comedy and compassion. Kim Hae-il (played by Kim Nam-gil) is a Catholic priest who is anything but priestly. He’s a hotheaded, sharp-tongued man with attitude to spare. Kim is the kind of person who can render anyone, parishioner or stranger, dumbstruck with his temper and attitude. Once something sets Kim off, no one can stop him. 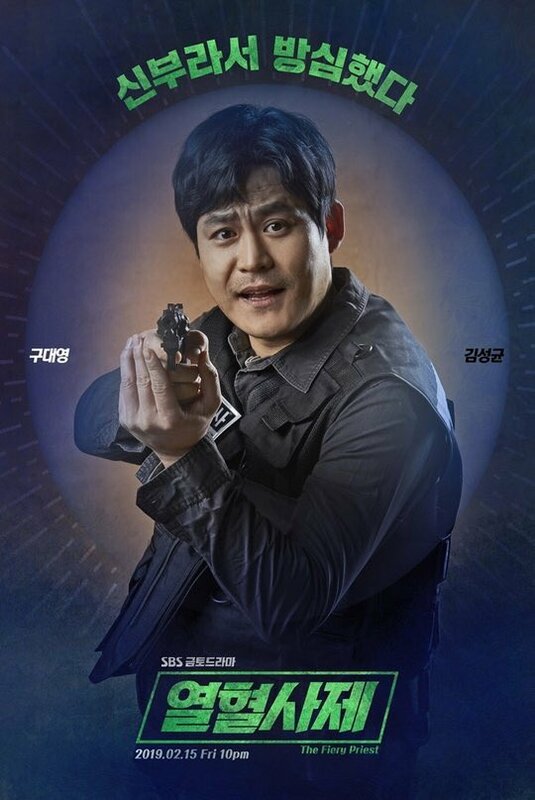 When an elderly priest is murdered, Kim Hae-il teams up with homicide detective Gu Dae-young (Kim Sung-kyun) to solve the case. Well. No loveline in this one! Aww man, I wish they were airing this now. This seems very funny. I'm looking forward to it. This has similar title with the upcoming 2019 OCN drama. Priest character must be a trend for now. Wonder if these kdrama writers ever talk. Now I know. I'm familiar with the face but not the name. So that's Go Joon. 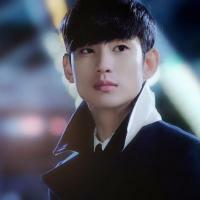 I realize I watched his last 3 dramas. The Good Wife. Save Me. Misty. I'm looking forward to this as well. And Kim Nam Gil looks so damn fine. I just gotta share though not drama related. Thanks for indulging. A new update. I like how CJ & Es is pro active in promoting KNG's projects. His previous agencies can not relate. Ahhhh! KNG!! This guy can play a comedy role hilariously and still break my heart in tear-jerking scenes! Looking forward to this! is he a real priest or not ? I thought I saw some sparks there btwn Lee honey & him in the close up ? I was waiting for his comeback after LUTYN And the rest of the cast look AMAZING!! I am glad we`ll have the first teaser. He is but I am not sure if he will remain a priest at the end of this show. The higher ups might not liking him being so unconventional. I laughed when I watched the teaser. It seams to be a fine comedy drama. Oh my. Kim Nam Gil . I am in drama slump now, I really need this drama now. Kim Nam Gil will have new drama in February! Great news!! But seems he will not have a love story then. Well, this is certainly a new kind of priest in dramaland. 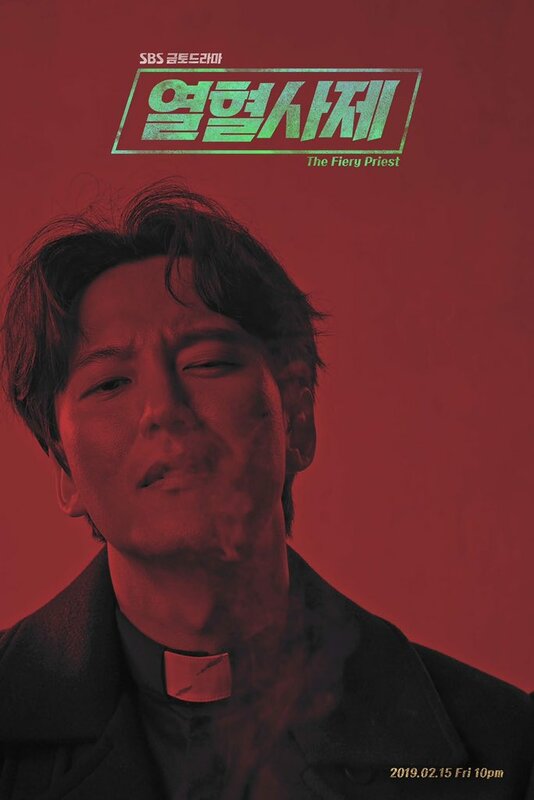 SBS’s upcoming dramedy Hot-Blooded Priest has recently released a teaser showing our three leads Kim Nam-gil (Live Up to Your Name), Kim Sung-kyun (Untouchable), and Honey Lee (Rebel: Thief Who Stole the People), and it looks like we’re in for an irreverently fun ride. First up, we have our titular priest Kim Nam-gil, and to call him “hot-blooded” sounds like an understatement to me. In the teaser, we see him stop in the middle of a sermon to yell obscenities at a member of his congregation for eating during Mass. And I certainly don’t know what business a priest has in beating up people, but that’s exactly what he goes around doing, while saying offscreen that his “job prioritizes judgment and punishment.” The teaser itself says he has an anger management disorder, and coupled with his distinctly un-priest-like fighting skills, he goes out to “destroy” the sins of his city. Hi chingus! I'm here, reporting for kdrama fun! Well , are you referring to the taboo almost- romance btwn a recently widowed Mother of twins & a hawt spy in Terius vs the heaven forbid love line here btwn an ambitious prosecutor and a hawt priest ? I hope this will be as fun & action packed as Terius. Teaser looks promising.